Don’t you just LOVE IT when you find a pattern that you have been looking for? 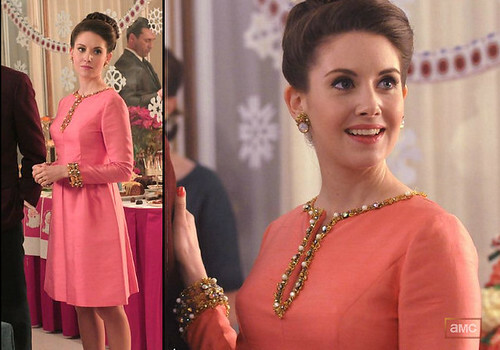 For a while now I’ve been coveting Trudy Campbell’s gorgeous peach evening dress with the gold and pearl trim and the collars and cuffs, so when I saw this pattern on ebay I almost jumped out of my seat, it’s as close a match as I’ve found anywhere and I cannot wait to get cracking on it! 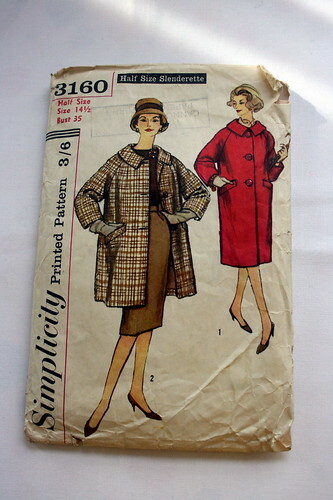 At the same time this beautiful coat pattern showed up and I snapped it up without a second though, it’s very Betty. It looks an awful lot like the cream number she wears in her riding outfit and I think it would look great for a smarter ensemble or something a little more casual. This all leads me on to a thought. 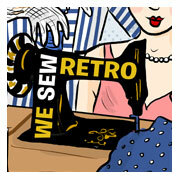 Do you have someone in mind when you search for vintage patterns, or do you just go for what grabs you? Do you have inspiration boards on Pinterest? If so link me up in the comments below and I’ll follow you! PLEASE VOTE FOR ME – 7 DAYS TO GO! Votes are super tight and only the top three go through so if you haven’t voted and you likes this blog please give me five minutes of your time and see how to vote below. 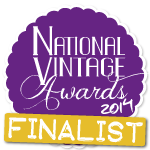 Please vote for me in the NVAs as I’ve been nominated under the Best Vintage Fashion/Lifestyle Blog category. 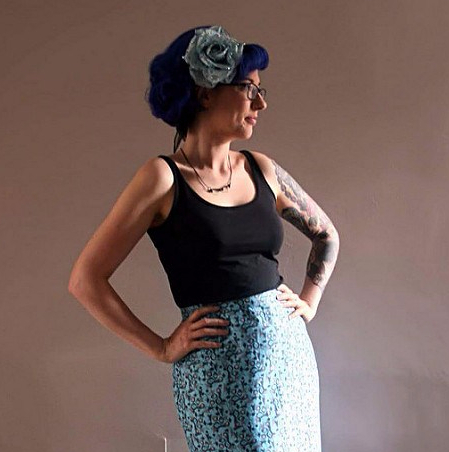 Voting is open throughout May and it’s a simple click to select Stacey Stitch and then enter your email address to confirm the vote (you wont be spammed). Clicking on the photo or links above should take you straight to the website. It’ll only take a few minutes of your time if you have it spare! Thank you! Wow those are pretty much perfect matches! I’ve been one of your Pinterest followers for a while actually! 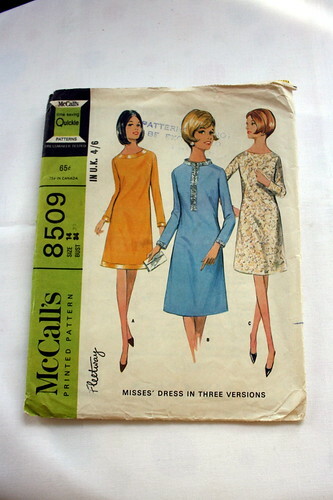 I don’t search for particular vintage patterns because overall they’re not really ‘me’ a md the alterations take forever since they’re never my size. I do have a few that I will try to have a go at!